Usually used for clear outs and small construction jobs. Waste types: soil, rubble or general commercial and domestic waste. Fit easily on a standard sized driveway. 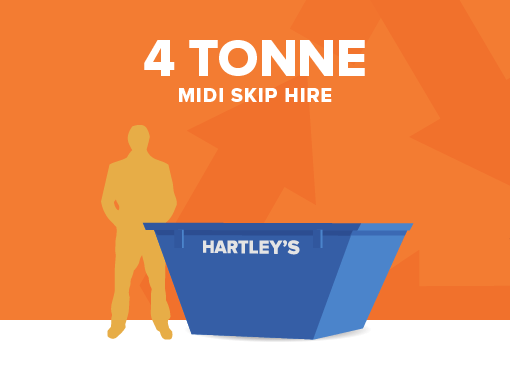 These skips are commonly used for replacing old kitchens or digging footings for conservatory bases and garden landscaping. The capacity of this midi skip is 4 yards³/3.06m³. The skip dimensions are (average) Height 0.96m (3″ 2″) | Length 1.68m (5″ 6″) | Width: 1.22m (4″1″).